Controlled electrostatic physisorption of horse heart cytochrome c (Cyt c) onto nanostructured gold surfaces was investigated using Quartz-Crystal Microbalance measurements in planar gold surfaces with or without functionalization using a self-assembled monolayer (SAM) of the alkanethiol mercaptoundecanoic acid (MUA). MUA is a useful functionalization ligand for gold surfaces, shedding adsorbed biomolecules from the excessive electron density of the metal. A parallel analysis was conducted in the corresponding curved surfaces of 15 nm gold nanoparticles (AuNPs), using zeta-potential and UV–	visible spectroscopy. Atomic Force Microscopy of both types of functionalized gold surfaces with a MUA SAM, allowed for visualization of Cyt c deposits on the nanostructured gold surface. The amount of Cyt c adsorbed onto the gold surface could be controlled by the solution pH. For the assays conducted at pH 4.5, when MUA SAM- functionalized planar gold surfaces are positive or neutral, and Cyt c has a positive net charge, only 13 % of the planar gold surface area was coated with protein. In contrast, at pH 7.4, when MUA SAM-functionalized planar gold surfaces and Cyt c have opposite charges, a protein coverage of 28 % could be observed implying an adsorption process strongly governed by electrostatic forces. Cyt c adsorption on planar and curved gold surfaces are found to be greatly favored by the presence of a MUA-capping layer. In particular, on the AuNPs, the binding constant is three times larger than the binding constant obtained for the original citrate-capped AuNPs. Financial support was provided by Fundação para a Ciência e a Tecnologia (FCT/MEC), Portugal, under Grants PEst-C/EQB/LA0006/2011 to MJF, PE, EP, and RF; and PTDC/CTM-NAN/112241/2009 to RF; and PEst-OE/QUI/UI0100/2011 to APS and BS. IG is a recipient of a FCT/MEC post-doctoral fellowship (SFRH/BPD/63850/2009). 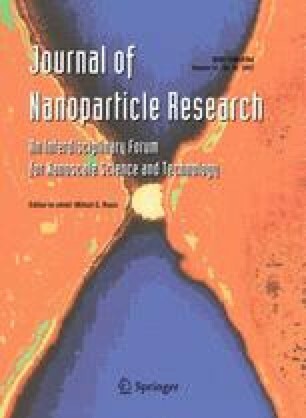 The authors thank the Centro de Materiais da Universidade do Porto (CEMUP), for allowing the use of the multimode AFM, and Prof. António Fernando Silva and CIQUP, Laboratório de Química Analítica, Faculdade de Ciências, Universidade do Porto for allowing the use of the PicoLE AFM.